"AN ENEMY HAS DONE THIS"
Quite nearly everything that is occurring in the Church today is outlined in this brief but enormously important parable. The parable explains how it happened and who is responsible for it. It is striking in both its brevity and its scope. What is happening in the Church, right now, is horrific! It is historically unprecedented and morally execrable. Never has the Church been so afflicted since the great Arian heresies in the 3rd century almost two millennia ago. Even the Protestant Revolt instigated by Martin Luther is not comparable in the intrinsic evil and the devastation it wrought — to the Body of Christ, the Church, and to the world around it. We are not “frustrated”— we are outraged! We are not “concerned”— we are horrified, shamed, scandalized, and perhaps above all we are angry! — angry at the seemingly “routine” way that it is being trivialized by our bishops, our priests, and, for all his pretensions, Francis himself! “Put this on the calendar” to be addressed at the next meeting” — months from now. Catholics are scared! We are afraid of what is being done not only to our children, but our Church! We want heads to fly! We want Birettas placed down in shame. We want guilty priests defrocked — immediately — and jailed! We want complicit cardinals to be removed from office at once, silent bishops to be dismissed from the episcopacy and all that responsibility of which they have proven themselves unworthy or unequal — and if not subsequently laicized then at the very least educated on basic morality and the difference between sanctity and sin — based on the Sacred Depository of Faith, and authentic and established doctrine: not the whims of “pop” theologians who make a living off the Church even while despising her. establishing yet more useless “committees” to “examine the issue”. No! No longer! No more! The sociological rhetoric in which they are increasingly addressed and inevitably culminate will never suffice to accomplish anything. The time of showmanship is past. It is now a very dangerous matter of brinkmanship. Much has been lost and much more stands to be lost. We want action to be taken — and not “sometime in the future”, but NOW! THIS DAY! THIS MOMENT! The crisis IS that serious ... and the hierarchy — to the very top — seems too obtuse or simply too stupid to recognize it! Or … more frightening still, and much more darkly … unwilling to — because to address it would be to implicate themselves! Who is the enemy? The devil of course! It is satan! It is he who sowed the weeds among the wheat. A weed is a plant considered undesirable in a particular situation, “a plant in the wrong place”. This is actually an admirable description and entirely appropriate to our purposes. A weed is not of itself evil. It is simply a plant among other plants. But in Christ’s Parable we must take note that an “enemy came and over-sowed weeds among the wheat” They were not native to that group of plants. 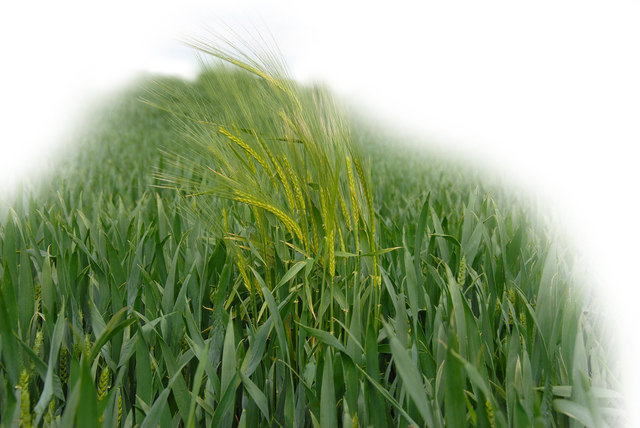 Wheat does not become weed. It remains wheat. The weed, we find, is surreptitiously introduced among the desirable plants: in this case, wheat. The wheat is “sown-over” for a purpose: to fester among it and to impede and eventually destroy the wheat. There was a purpose to its planting by the evil one just as there was a purpose to God’s planting of the wheat — the purpose of the latter, the wheat, was to nourish other things. Of the former, the weed, it was to destroy, to crowd out, to entangle and kill the wheat — and with the wheat, all that it nourishes. The “particular situation” referred to as “undesirable” in Wikipedia is, in the case of the parable, the Field that nourishes, which is the Church — and the wheat, Her priesthood together with the Faithful. It is, after all, through the Church that Christ comes to man in the Most Holy Sacrifice of the Mass. The Church is the indispensable means of salvation for all men. Destroy the Field (the Church) through the depredation of weeds and you destroy the means of salvation. Is this not the sole objective of satan — that none should attain to salvation, but perish everlastingly in the "Lake of the Second Death", in Hell, together with him and those who serve him — among which are not only the demons, but men? You may reply that the same soil nourishes and feeds wheat and weed alike. True. But the wheat in the Field (the Good seed 2) was planted by God Himself to be nourished and grow and to further nourish unto Eternal Life. The weeds deplete the soil of what the wheat needs to grow: it steals nourishment intended for the wheat. God Himself established the Field and planted each seed of wheat — but this was not so of the weed. It had to be planted by someone else other than the Master of the Field. The parable explicitly and pointedly states that “it was the enemy who had done this.” Finding that he could not destroy the Field, the enemy secretly infiltrated it, planting weeds among the wheat which, in time, would choke it and kill it. This is precisely what happened within the Church following Vatican II. The priesthood, Religious life, vocations and the fidelity of the Faithful had flourished. The “plant considered undesirable in a particular situation” — specifically homosexuals — rather than being excluded from, were cultivated in the seminaries and houses of Religious life. People who had no business in the Field — the “plants in the wrong place” — were permitted to flourish to the detriment of the wheat. As the weeds flourished, the wheat withered. “The dragon — that old serpent, who is the devil, satan” 3 — we would do well to be clear about the enemy and name him for what he is: vicious, deadly, “the prince of this world” 4 who has no place in God’s Church. He does not treat or parley: he drags off to Hell whom he can … and deceives the rest that he is just a twinkle in a predator’s eye ... those whom he has over sown in our seminaries, monasteries, rectories, and chanceries. The dismissive voices that would call the charade simply “progress” and a “gay” affair at that — despite its manifestly deadly consequences, are now without excuse ... or concealment. What did Shakespeare say about “A Rose by any other name ...”? Another Synod — as we see above — has been called for instead: a Synod of the Bishops — concerning their job description ... and their abject failure in fulfilling it. But don’t count on Francis summoning it: he is too heavily vested in the very causes that demand it!